Join us on Monday, May 27th at 7pm to review our 2018/19 Audited Financial Statements and help us welcome the 2019/20 slate of Board of Directors. Join us for our annual Spring Fling Dinner & Dance and help us kick off summer! Contact Tracey at 780-453-6707 or info@wsaf.ca for more details. Join us on Thursday, August 22nd, 2019 at RedTail Landing Golf and Country Club for an exciting day of golf, and get to hang our with Joey Moss and his friends! Hosted By The Winnifred Stewart Foundation, proceeds from the 2nd Annual Golf Classic will go towards the Joey’s Home Trust 500k Campaign, to fund some much needed renovations in our residences. Click here for more info or to register! A night in honor of our incredible volunteer! Thanks to our volunteers for your gift of time and for lifting up our community!  You’re a new board member wanting to learn more about your role.  You’re an experienced board member wishing to enhance your skills and work more effectively as a board team member.  You want to attend by yourself or with other member(s) of your board. 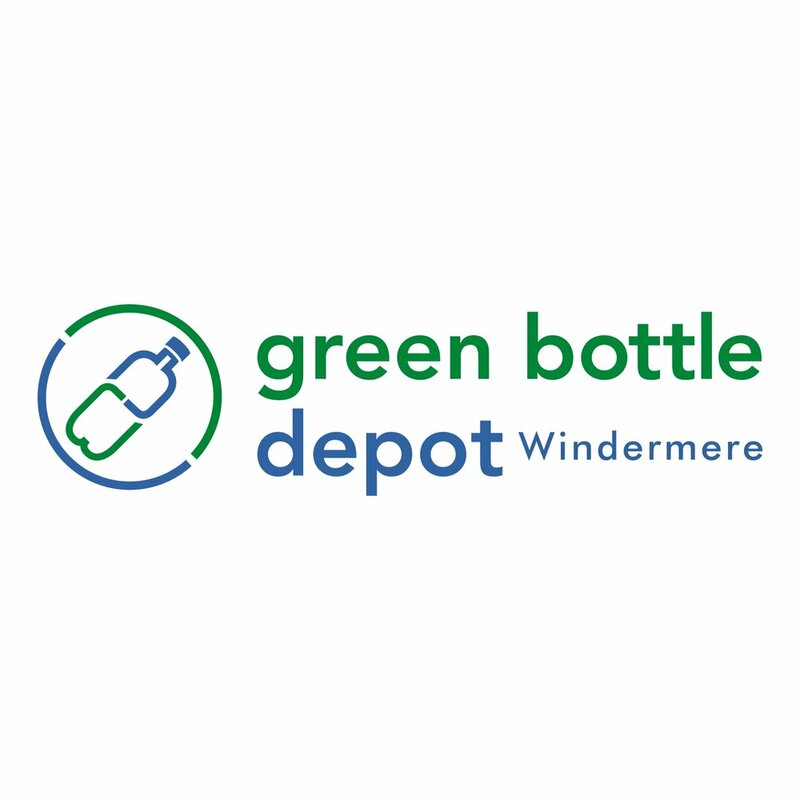 BBQ Dinner, Prizes & More! Click here to register online or contact Kayla at KaylaF@wsaf.ca or 780-453-6707 ext. 359. Get your dancin' shoes on and lets celebrate spring with dinner and a dance! Celebrate WSA Sapphire 65th Anniversary. A night with music, memories and a look back at 65 years of inspiration and empowerment. Let's Taco 'Bout How Awesome Our Staff Is! 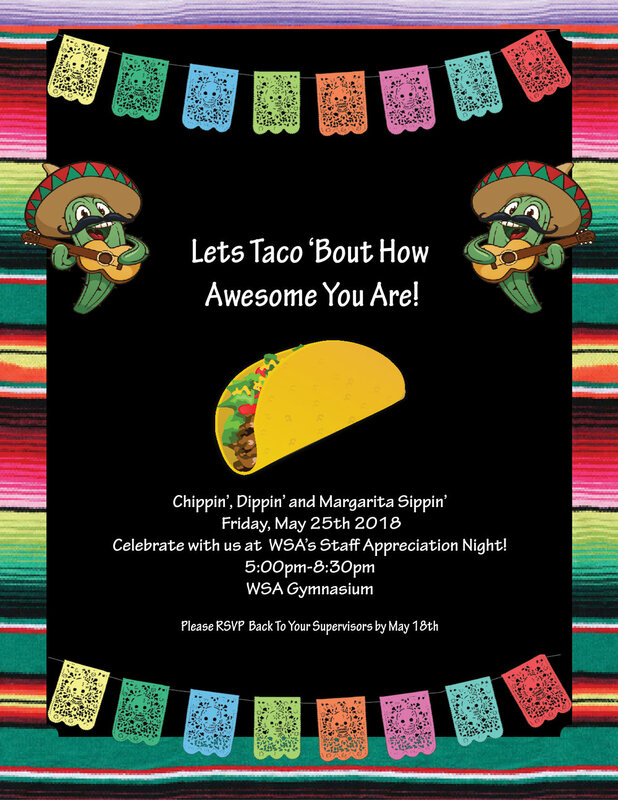 Join us for a Fiesta themed evening to celebrate our amazing staff family. A wine and cheese evening to celebrate and thank our wonderful volunteers. We are very excited for our upcoming Valentine's Dinner & Dance! Tickets are on sale until Feb 14th, don't delay! We are so excited for this year's Christmas Dinner & Dance happening on Saturday, December 16th! 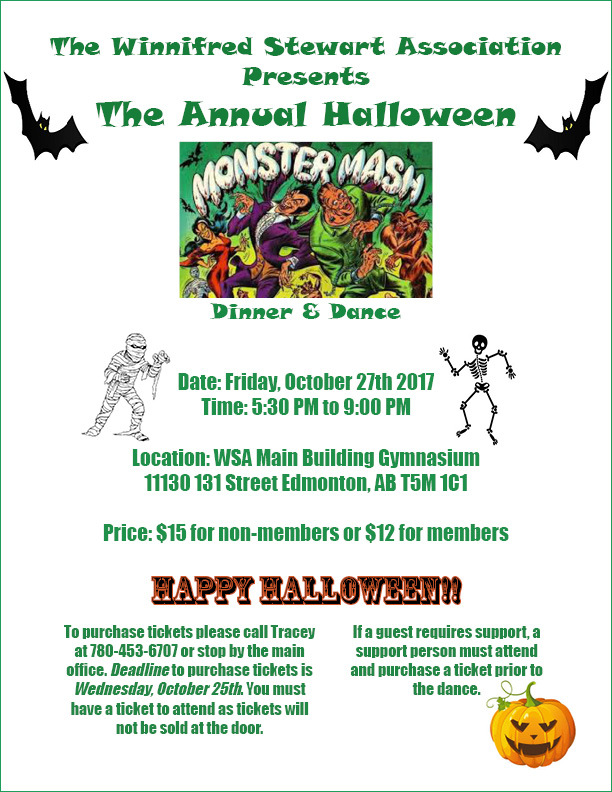 Join in the fun at our annual Halloween Monster Mash & Feast on Friday, October 27th 2017 at the WSA Main building gymnasium. Join us for our annual corn roast on Friday, September 8th 2017 at the WSA Main building in the back parking lot for corn, hot dogs, refreshments and fun! Come one, come all for a pancake breakfast on Friday, July 28th at the main building Parking Lot! Watch for our WSA Float in the 2017 K-Days Parade! Please join us for our annual Spring Fling Dinner & Dance on Friday, June 2nd. Please contact Kathleen to volunteer for this event or Tracey to order tickets at 780-453-6707. The Annual General Meeting is taking place on Monday, May 29th 2017 at the WSA Cafeteria in the Main Building. This meeting is open to the community so please stop by to learn more about WSA. WSA is having a Mixer in celebration of our wonderful supporters! Please join us on Friday, February 17th for our annual dinner and dance. Please contact Tracey at 780-453-6707 to order your tickets! Join us for our annual Christmas Dinner & Dance at the Ramada Inn - 11834 Kingsway, Edmonton. Tickets are $25. Please contact Tracey at 780-453-6707 or Traceyk@wsaf.ca to order tickets. Tickets will be on sale October 19th, 2016. Join us for our annual Halloween Dinner & Dance. Tickets are $12.00. 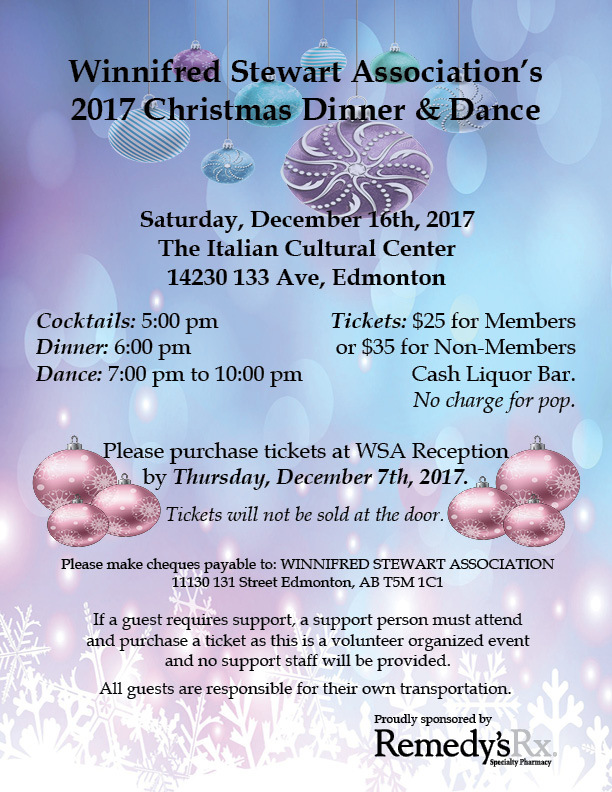 Please contact Tracey at 780-453-6707 or TraceyK@wsaf.ca to order tickets. 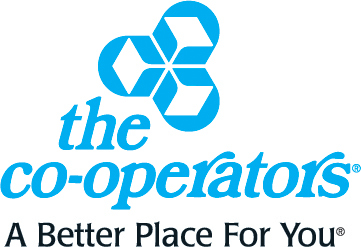 Join us for our annual Corn Roast at our Wellington location (13160 127 Street) and enjoy some delicious Taber Corn and BBQ'd hot dogs! Join us again this your for our Picnic in the Park to celebrate the completion of the Winnifred Stewart Park revitalization! 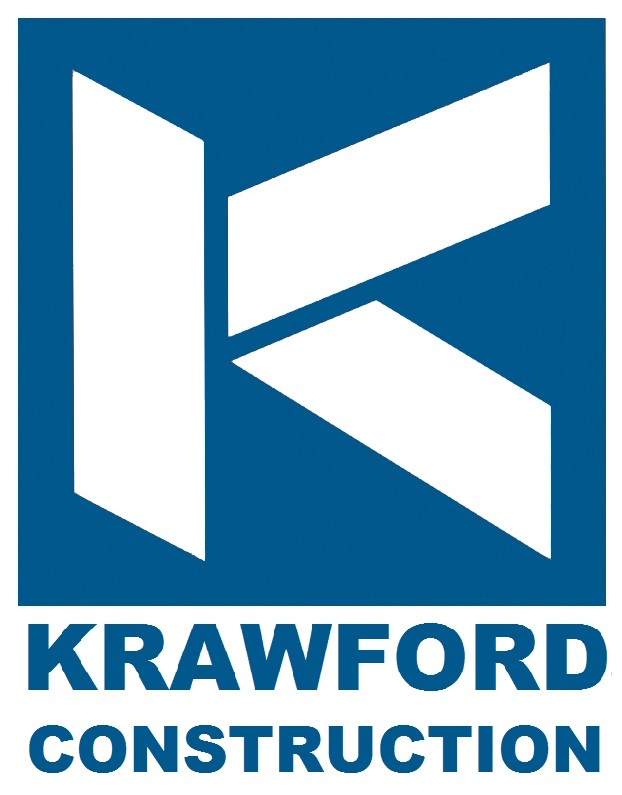 Join us at the K-Days Parade and see what we have in store for a float this year! Join us on Friday, June 3rd for our annual Spring Fling Dinner & Dance. Tickets are $12.00. Please contact Tracey at 780-453-6707 or TraceyK@wsaf.ca to purchase your tickets. Join us for our Annual General Meeting on Monday, May 30th, 2016 at 7pm in our gymnasium. Refreshments will be provided.